Have you heard about Bluestacks app player? Bluestack is one of the best Android emulator I ever use on the net which was founded in 2011 to push the boundaries of the mobile ecosystem. Today more than 130 million people in the world use BlueStacks App Player to run mobile apps(Whatsapp, Hike, Paytm, Freecharge, Snapdeal, Mcent, Ladooo, Amazon, Flipkart and many more. ) and games(Castle Clash, candy crush, subway surfers and others) on bigger screens using Bluestacks patented Layercake technology. Why bluestacks app player. ? What are the system requirements to install and run BlueStacks? If you want to download bluestacks old version then download bluestacks from Google Drive. The drivers for your PC’s graphics drivers should be updated. I hope you have successfully downloaded bluestacks app player. 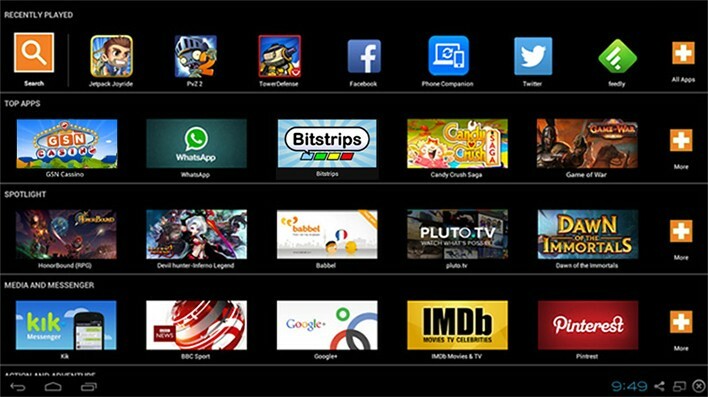 Now use bluestacks in your pc as android device. In bluestacks you have to do the same things as you do in Android mobile. If you want to download playstore apps in bluestacks then you will have to login with gmail account and you will get access as you access in Android mobile. Comment below if you have any question regrading this.